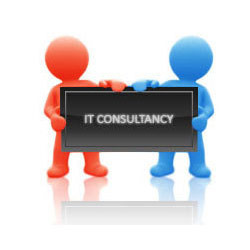 AND Solutions give guidance in setting up business to new comer and beneficial business solution to existing one. To successfully execute business agendas with robust IT strategy initiatives, an enterprises needs technology expertise backed by deep industry knowledge. Our Customized and Pre-packaged business applications embed cutting-edge technologies and thus, providing a best-in-class successful IT landscape for an enterprises. 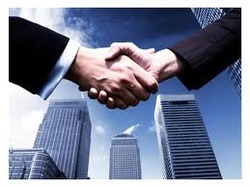 We are Oracle partners since 2005. We bring to you right fit solutions to respond to your goals. Our Oracle offerings ensure you a full lifecycle Business Applications' service. MindShell is one of the industry’s most experienced enterprise business applications and systems consulting firms. We provide the necessary business knowledge and technical expertise to help our clients better understand, utilize and maintain their complex and critical enterprise systems. The Company has a services experience across the lines of Management Consulting, Business Application Services, Enterprise Solutions, Enterprise Collaboration Services, Testing and Assurance Services, BPM and Infrastructure Management Services. Starnel Consulting and Engineering is empowering next-generation enterprises with its cloud, mobility and social media solutions. MindShell is one of the industry’s most experienced enterprise business applications and systems consulting firms. We provide the necessary business knowledge and technical expertise to help our clients better understand, utilize and maintain their complex and critical enterprise systems. We specialize in the integration of financial, human resource, supply chain, manufacturing applications. Today, CxOs want to achieve more with less by leveraging the full potential of technology innovations to sustain growth. In a highly competitive world, this approach is imperative to stay agile as the business is constantly evolving.